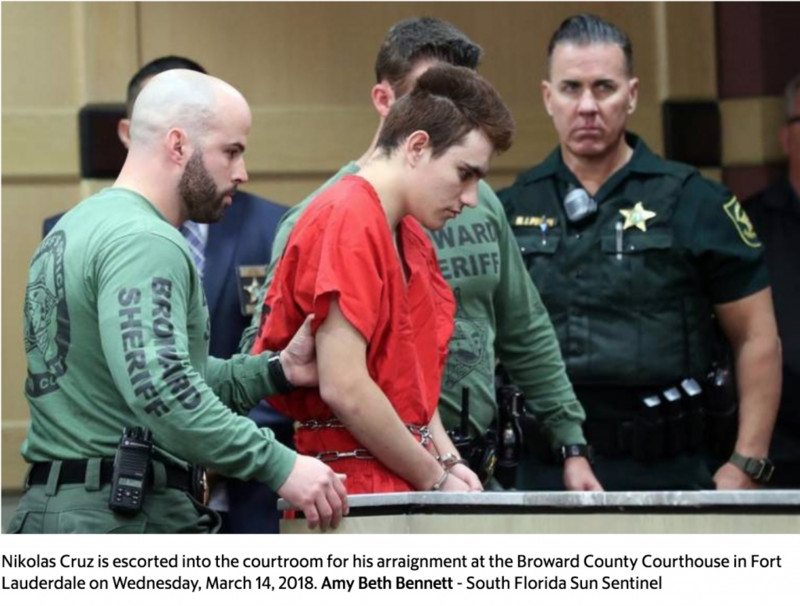 Surrounded by at least 20 deputies and shackled at his wrists and ankles, Nikolas Cruz appeared in a Broward County courtroom on Wednesday to be formally charged in a school massacre he has already confessed to carrying out. 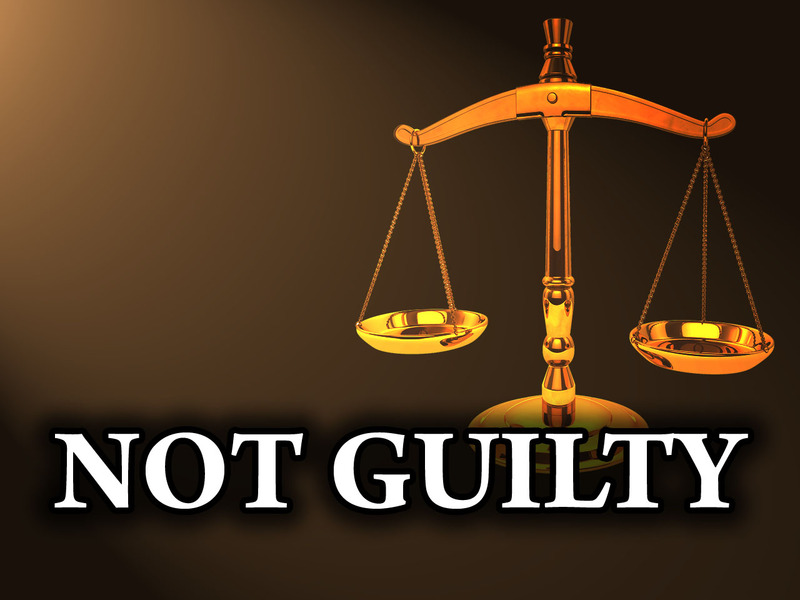 He didn’t enter a plea but the judge, for procedural reasons, did it for him: Not guilty. The arraignment of Cruz came exactly one month after he walked into Marjory Stoneman Douglas High and opened fire with an AR-15 rifle on students and staff at the Parkland school he once attended. A Broward grand jury last week indicted him on 17 first-degree murder and 17 first-degree attempted murder charges. Unlike most defendants in criminal cases, Cruz, 19, did not enter a plea himself and, in fact, did not speak, keeping his head down throughout the brief hearing. 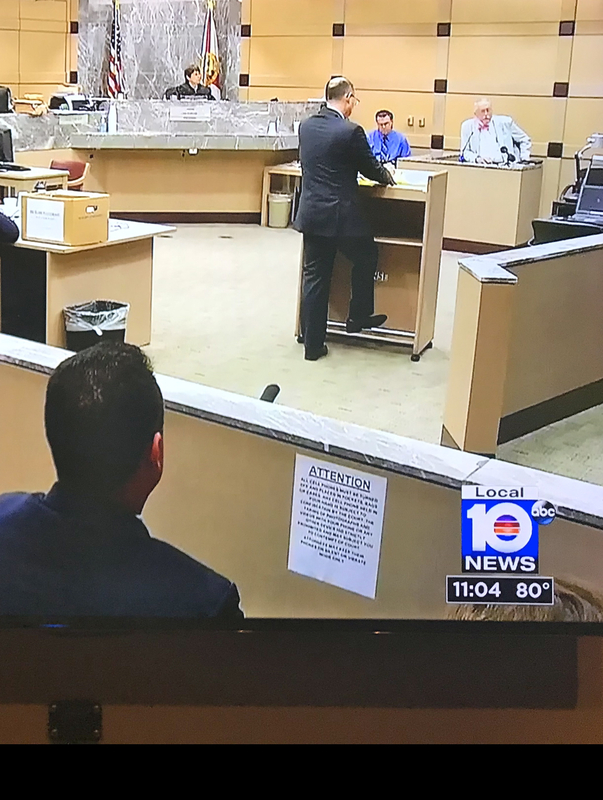 Assistant Public Defender Melisa McNeill told Broward County Circuit Judge Elizabeth Scherer that Cruz “stands mute” to the charges. Hoping to convince a jury to spare his life, the defendant’s legal team is planning to focus on Cruz’s long history of mental illness, emotional and violent outbursts and the recent death of his mother. 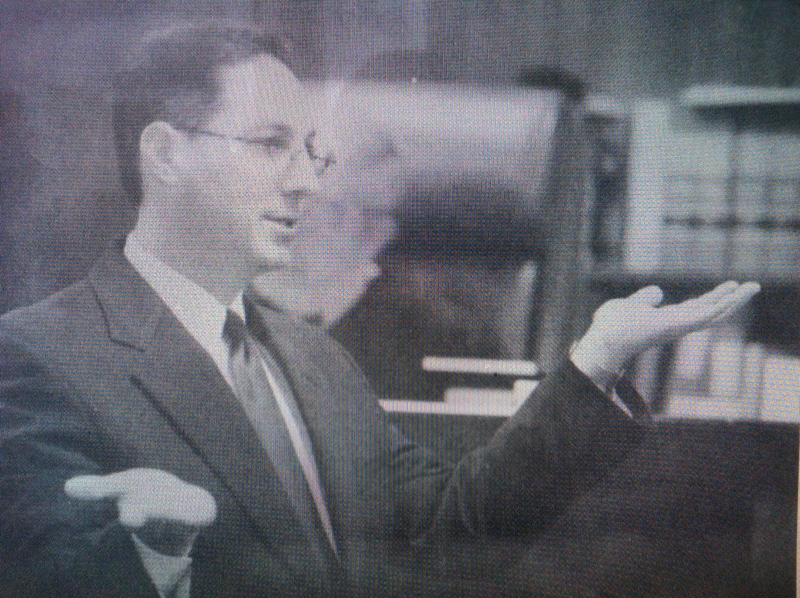 Broward Public Defender Howard Finklestein has repeatedly said his goal is to keep Cruz off of Florida’s Death Row. 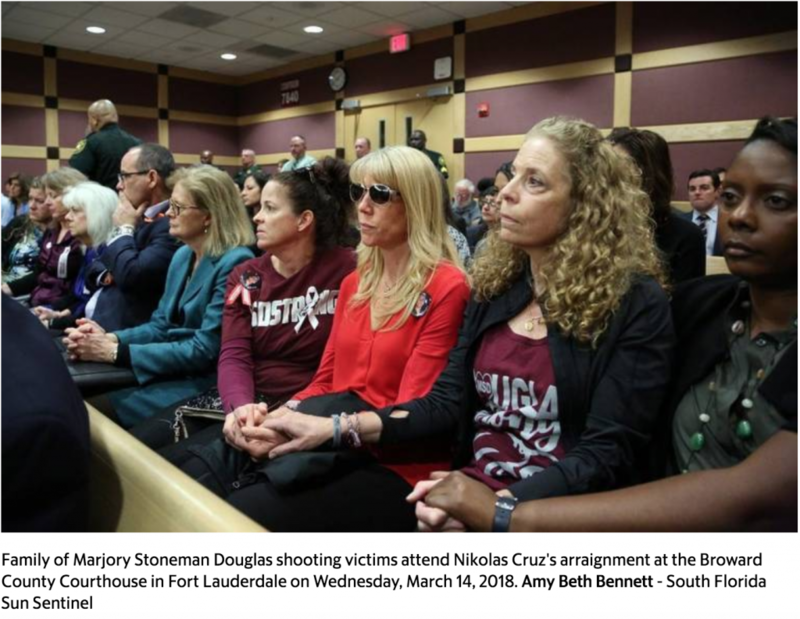 While the judge entered Cruz’s not guilty plea on his behalf, the defendant’s younger brother, Zachary, and some of the Parkland shooting victims’ family members watched the arraignment. Padowitz said it would not look right in the court of public opinion or to the victims’ families if he pleaded “not guilty” at his arraignment, especially since Cruz already confessed to the killings and the public defender’s office said he would plead guilty in the hopes of avoiding the death penalty. As a result, “it makes more political sense than anything else to let the judge enter Cruz’s not guilty plea” while the public defender’s office hopes to negotiate a deal that would allow him to plead guilty eventually in exchange for a life sentence. The state attorney’s office said it is seeking the death penalty. Armed with plenty of eye witnesses who knew the shooter, video surveillance and a confession, prosecutors have plenty of evidence to convict Cruz of the shooting. At Wednesday’s arraignment, Judge Scherer also asked for more information on Cruz’s finances to determine whether he can afford his own private attorney, rather than be represented by the taxpayer-funded public defender’s office. 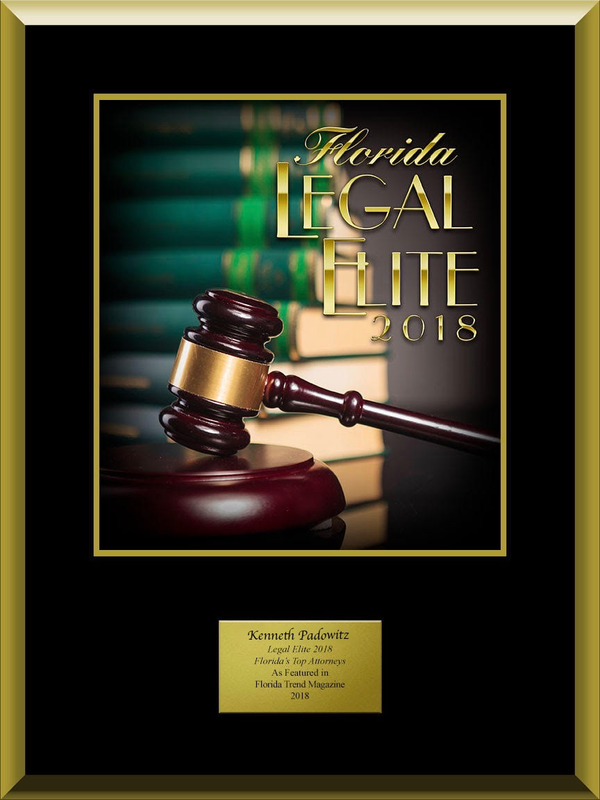 His defender, McNeill, said the office has discovered that Cruz’s mother, Lynda, who died in November, left him and his brother Zachary a life insurance policy worth $50,000. The mother also had $12,000 in a joint checking account with Nikolas Cruz. Her estate also had 24 shares of Microsoft that were purchased in 2003 and might include a monthly $3,000 annuity from her late husband’s will. The judge set a hearing on Cruz’s financial status for April 11. A murder trial, on the current schedule, could start as early as the first week in May.Cruz’s horrifying act of violence at the Parkland school last month has sparked a wave of student activism, renewed political tension over gun control and even forced the normally pro-firearm friendly Florida Legislature to pass a law tightening access to weapons.